Balance is a fallacy for Stewart D. Friedman. The so-called work / life balance is obsolete. It is harmony that is the key to a full life. Work, family, friends… these are no longer separate, but interconnected spheres that are capable of having a positive influence on each other. The new technologies, the development of gender roles and the new company, in which ways of working are evolving, have created a socio-cultural context that affects professional and family decision-making. What do the new generations think about the family? Will it be possible for young people, the so-called millennials (or millennium generation), to reconcile their work and family aspirations? Steward Friedman is a world-renowned expert on the work/family perspective in the business world. 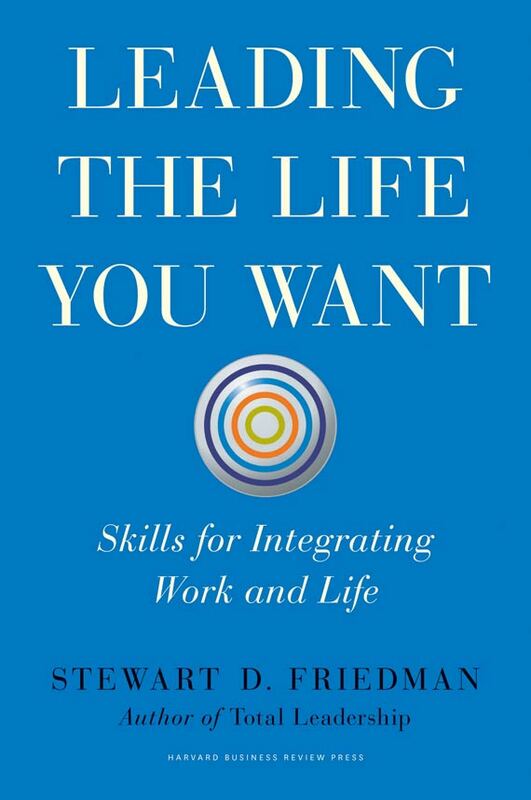 With over 30 years’ experience as a teacher, researcher and private consultant, Friedman condenses the best from his career in his latest book, “Leading the Life you Want: Skills for Integrating Work and Life”, a practical guide with exercises and examples to learn to steer the life you want to live. In his book, Friedman presents 6 successful leaders with 6 particular histories, people who, according to the author, have achieved the desired harmony. Each if them exemplifies a series of qualities: Bruce Springsteen and Michelle Obama are two of the people chosen to illustrate what, in the author’s judgment, is a proof of success: harmony in the distribution of time and dedication in the different spheres of life. Work is not everything and time invested in the office does not now ensure success. The new generations dedicate ever more time to work, they renounce parenthood more readily and do not have the flexibility necessary to enjoy a full life outside their work activity. Generation Y (the millennium generation) does not have control over the distribution of its time. In his article for OpenMind, Friedman explains that companies must recognize and respect all spheres of life: work, home, community and personal space, and provide individuals with the tools and support necessary to live the life they want. This is not a matter of altruism. Companies must foster productivity and talent. They must retain their best employees, ensuring that they can develop their full potential and live the life they have chosen within the company that has selected them. Breakthrough Innovation. The "State of the Nation"